The Night of 31st December has always been a dark and sad day for those in Assam who grew up with a feeling of Nationalism. It has been exactly 25 years today when Assam had lost one of its bravest and uncompromising sons, Captain Heerak Jyoti Mahanta the then Deputy C-in-C of ULFA. On the afternoon of December 31, 1991, the then ULFA Deputy Commander-in-Chief Heerak Jyoti Mahanta was arrested by Indian army and killed at Geetanagar Police station on the same night. Being the Deputy Commander-in-Chief of ULFA – Heerak Jyoti Mahanta – became an influential revolutionary in 1980s. 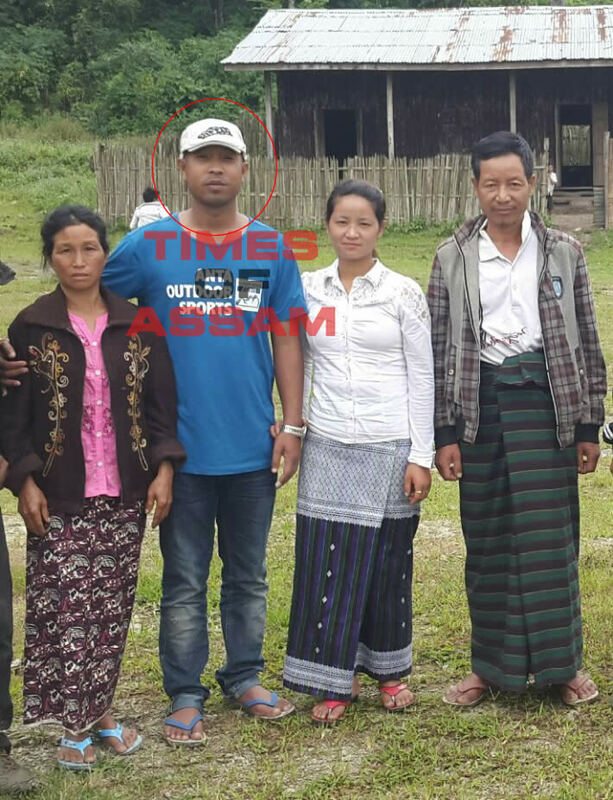 In spite of being from an aristocratic family and a bright student, the young and handsome Heerak had joined the outfit with a dream of Sovereign Asom and risen up his guerrilla tactics to become the most loved, respected and influential revolutionary leaders of the North Eastern region. He had become an icon for the youth and had inspired thousands of Assamese youth to join the outfit during the eighties, the days when ULFA the most loved organization of the people of Assam (and not a banned outfit yet). But it was not as easy as thought, because of tactics of Heerak Jyoti Mahanta and his influence on the cadres of the outfit. He was reputed to be strictly against any form of surrender or compromise with enemy. The first ever gun battle between ULFA and Indian Army under Operation Bajrang at Lakhipathar of Tinsukia in November, 1990 was a story that had spread out like wildfire for the courage and guerrilla tactics displayed by Mahanta. He had commanded his cadres to knock out the Indian Army’s offence with the massive guerrilla tactics of booby trap, landmine under the water root and bamboo made mud traps and the story became an inspiration for all cadres. The Home Ministry, along with the then Chief Minister Hiteswar Saikia, who had been a mastermind of several counter-insurgency operations in India, made a game plan to eliminate ULFA’s Deputy Commander-in-Chief Heerak Jyoti Mahanta. Heerak became a Robin Hood figure and Indian Union needed to not only eliminate him but to destroy his influence and honor once and for all too. As per plan, Heerak’s key aides were soon contacted and managed by army and intelligence who kept Heerak almost circled from October 1991. Probably, ULFA’s Chief of the Staff Paresh Baruah sensed the dirty politics of betrayer and trap of the Indian Intelligence, so Paresh Baruah asked Heerak to move to Bangladesh as an immediate action. 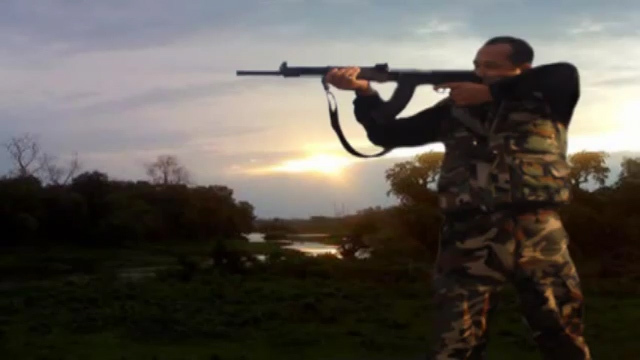 Heerak Jyoti Mahanta had to die not just because he had become the rebel youth icon of Assam. There were several reasons for which his own outfit was too responsible. Mahanta had become very vocal against certain decisions of the central leadership of the ULFA, the two major ones being about the issue of marriage of ULFA cadres and the other being about lateral talks of the outfit with Union Government of India. It is widely believed that General Secretary of the outfit Anup Chetia had become insecure at Mahanta’s rise as well as his stand against Chetia’s node on favor of lateral talk with GoI and the issue of marriage of ULFA cadres. Mahanta was strictly against marriages while Chetia was already married when he had become an ULFA Member! The two gems of ULFA – Heerak Jyoti Mahanta and Anup Chetia were splitting apart and Heerak had extremely high followers those days. The day when Heerak Jyoti Mahanta was captured, Indian Intelligence actually had news about both Heerak’s whereabouts as well as location of Anup Chetia, who was hiding in a hostel of Dibrugarh University that day. But Chetia, believed to have managed Hiteswar Saikia in the name of lateral talks was not arrested and that remains a mystery till now as to why he was not captured then. The Indian Authorities on the other hand, had a definitive plan to end the influence of Heerak Jyoti Mahanta as soon as he was killed. Just a week later after his death, a woman arrived at Late Heerak’s house and claimed to be his wife to family members. This was a shock to the family members as well as to the people of Assam, including the leaders and senior cadres of the outfit who widely respected him. Heerak was always known to have voiced against the marriage of cadres of the outfit as a strict disciplinarian. Their own leader’s alleged double nature led to raise unnecessary questions on his leadership style and led to mass disappointments. This was believed to have led to thousands of youth surrendering to the Government after being demotivated after Heerak’s death. There was lot of propaganda in the air and Heerak’s father even filed a lawsuit against the so-called Heerak’s wife some years before. But the task was done – The government and Intelligence succeeded in their mission of ending the influence of Heerak inside his own outfit for which he sacrificed at supreme. The lady who claimed to be Heerak’s wife was actually married off to Heerak’s brother. There were even claims that lady and her husband’s child (Heerak’s brother) was actually the child of late Heerak; but none of those making such strange personal allegations probably highlighted or counted the dates between Heerak’s death and the child’s date of birth, before trying to shame the innocent child about identity of its father. This was a sad chapter conveniently forgotten, a chapter of mistrust, allegations and personal attacks. Heerak Jyoti Mahanta never had any wife or son, but his own outfit’s senior leaders still claim the lady as Heerak Jyoti Mahanta has a wife and a son. The saddest part of this whole conspiracy is that the other leadership of the outfit, who probably knew the truth kept silent as this acted in their own personal favor. Everyone in the central committee of the outfit got married in days and years to come and proves that they all acted in self-interest only. Now wonder that ULFA, over the years was rejected more and more by the same people of Assam due to nature of their leadership. Indian Union succeeded to eliminate Heerak Jyoti Mahanta, but failed to eliminate him from history of Assam as every pioneer or believer of Assamese nationalism has always honoring him as the icon of uncompromising revolutionary principle. No matter what conspiracies or theories were drawn, he is still considered as a heroic revolutionary by the same people who rejects ULFA as an organisation today. Time will say about the future of ULFA which is now divided into two sections, but Heerak will be always remembered as a rebel, no matter what the fate of ULFA or Assam is. Some name became itself a word of revolution, and some stacks with their organizational identity, and some became identity of the terrorist. But Heerak Jyoti Mahanta will be always counted in the list of leaders who became a world known revolutionary icon in history, surpassing their organizational identity, listing other icons like Fidel Castro, Che Guevara, Yasser Arafat etc. Heerak Jyoti Mahanta is the name that History of Assam will never forget.